If you have been charged with either financial transaction card theft or financial transaction card fraud, you are facing potential felony charges with possible jail time. An experienced defense attorney can help you navigate the legal system and examine all the facts of your case as they relate to the law. 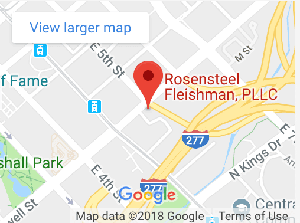 Call Mr. Rosensteel as soon as possible so that he can begin preparing your defense. The crime that we commonly think of as credit card theft is called financial transaction card theft under North Carolina statute. Financial transaction card is a defined term in the statute and generally includes credit cards and ATM cards. A person can commit the crime of financial transaction card theft in one of several different ways. Note that this crime does not require a person to actually use the financial transaction card, just intend to use it. the defendant took the financial transaction card from the possession or control of another. the cardholder did not consent to the taking. the defendant intended to use it. the defendant received, that is, obtained possession of, the financial transaction card. the card had previously been taken without the cardholder's consent. the defendant knew that it had been so taken. the defendant intended to either sell the card, use it or transfer it to someone other than the cardholder or the issuer. the defendant received; that is, obtained possession of the financial transaction card. the financial transaction card was either lost, mislaid, or delivered under a mistake as to the identity or address of the cardholder. the defendant knew that the credit card was lost, mislaid, or mistakenly delivered. the defendant retained the card with the intent to either sell the card, use it or transfer it to someone other than the cardholder or the issuer. the defendant bought a financial transaction card from another. the defendant bought the card from a person other than the issuer or authorized agent of the credit card issuer. the defendant sold a financial transaction card to another. the defendant was neither the credit card issuer nor the authorized agent of the financial transaction card issuer. Financial transaction card theft is a Class I felony. A person who is convicted of a Class I felony can receive a punishment ranging from 3 to 12 months, depending on prior convictions. A person with no prior convictions must receive community punishment, which is punishment that does not include active jail time and also does not require drug treatment or special probation. However, a person with prior convictions can receive active jail time as punishment. North Carolina statute provides that there is prima facie evidence of theft when a person has possession or control financial transaction cards that are in the names of two or more people other than his immediate family members. Prima facie evidence means that a presumption arises that the person committed the crime, but the person can present evidence to rebut this presumption. The North Carolina Court of Appeals has held that the single taking rule does not apply to financial transaction card theft. This means that if a person takes two credit cards from another, this taking can give rise to two counts of financial transaction card theft, even if it occurred in a single act. Similarly, when a person retains two credit cards with the intent to use them, that act can give rise to two counts of financial transaction card theft. When a person uses a stolen credit card to obtain goods or services, he commits financial transaction card fraud. The most common way we might think of this crime occurring is when someone takes a stolen credit card to a store and buys goods with it. However, to violate the statute, the credit card does not need to be stolen. It can also be forged, falsely represented, expired or revoked. Note that the crime does not require the person to actually obtain goods by using the credit card, just to intend to defraud for the purpose of obtaining the goods. the defendant intended to defraud. the defendant used a financial transaction card which was either stolen, forged, falsely represented, expired or revoked. the defendant knew the financial transaction card which was either stolen, forged, falsely represented, expired or revoked. the defendant used the credit card for the purpose of obtaining money, credit, goods, services, or something of value. If a person obtains more than $500 worth of goods, services or value during a six-month period, the crime of financial transaction card fraud is punished as a Class I felony. A person who is convicted of a Class I felony can receive a punishment ranging from 3 to 12 months, depending on prior convictions. A person with no prior convictions must receive community punishment, but a person with prior convictions can receive active jail time as punishment. If the person obtains no more than $500 worth of goods, services or value during a six-month period, the crime of financial transaction card fraud is punished as a Class 2 misdemeanor. Punishment for a Class 2 misdemeanor ranges from 1-60 days, depending on whether the person has any prior convictions. A person with no prior convictions must receive community punishment, but a person with prior convictions can receive active jail time as punishment. If you have been charged with financial transaction card theft or financial transaction card fraud, contact an attorney at Rosensteel Fleishman, PLLC (704) 714-1450, to discuss your options.